The International Investment Bank (IIB), the Eurasian Development Bank (EDB) and JSC Nord Hydro – Belyi Porog today signed an agreement outlining their intentions to implement the investment project Construction of small hydropower plants in the Republic of Karelia. The parties agreed on indicative terms of the financing for the construction of hydropower plants Byeloporozhskaya HPP-1 and Byeloporozhskaya HPP-2 with a combined capacity of about 50 MW in the Kem region of Karelia. The BRICS countries’ New Development Bank (NDB) will fund the construction of the plants in Karelia with a total amount of USD 100 million, making it its first investment in the Russian Federation. The NDB will provide the IIB and the EDB with targeted financing of USD 50 million each for opening a credit line for Nord Hydro in Russian roubles. The maturity of the loan is 12 years, with the IIB and the EDB covering associated project risks. The signing ceremony took place at the premises of the Representation of the Republic of Karelia in Moscow with participation of the Republic’s Head, Alexander Khudilainen, Deputy Chairman of the IIB Board, Vladimir Liventsev, Deputy Chairman of the EDB Management Board, Konstantin Limitovskiy, as well as senior representatives of Karelia’s administration and JSC Nord Hydro. "The construction of hydropower plants in Karelia is the first major joint investment programme of the IIB and EDB, funded by the NDB and aimed to benefit the national economy of Russia, which is one of the main shareholders in these three multilateral development banks," – said Vladimir Liventsev, Deputy Chairman of the IIB Board. He emphasised that supporting renewable energy initiatives is fully consistent with the policies of the renewed IIB as a socially and environmentally responsible development institution. Konstantin Limitovsky, Deputy Chairman of the EDB Management Board, pointed out that, "as a development bank, we appreciate that the project aims to create 'green' power generation in a region that lacks sufficient power resources. Our experience and competencies have helped us to devise an efficient multilateral transaction based on the principles of project finance, where risks and liabilities are shared by all project participants. This is the first project of such a scale in Russia's small hydropower and, in addition, the first project in Russia using finance from the BRICS Bank." Alexander Khudilaynen, Head of the Republic of Karelia, stated: "The agreement signed today is the beginning of extensive cooperation. We appreciate the trust our partners place with us. The new small hydropower plants in Karelia will be not only new generating facilities. They will mark a new stage in the advancement of the region's energy system with renewable, environmentally friendly sources. This means new quality of life." Alexey Vinogradov, Managing Director at Nord Hydro, commented that, "the signed agreement with Eurasian Development Bank and the International Investment Bank is an important step for the project's successful fulfilment. In cooperation with these serious financial institutions, the company plans to build a cutting-edge and efficient hydropower plant to the highest international standards, with the use of innovative Russian technology. We believe that our work with international development institutions will help our company to begin exports of Russian technology and hydropower engineering services to international markets in the near future." The co-financing of the construction of small hydropower plants in the Republic of Karelia is a practical result of the cooperation between the IIB and the EDB, which signed a Memorandum of Understanding at the 102nd IIB Council Meeting in Sofia, Bulgaria in November 2014, where the EDB also received observer status at the IIB. The document specifies procedures for coordinated selection, development and joint implementation of projects in member countries of both institutions. The Memorandum aims to govern the processes of investment project implementation, increasing efficiency and reducing lenders and borrowers' costs. 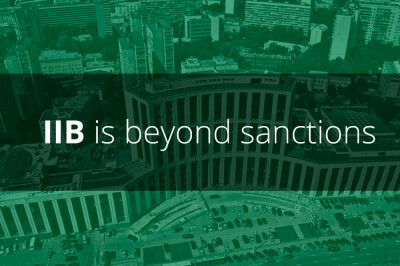 The IIB regularly participates in project co-financing with other international development institutions – its partners already includethe European Bank for Reconstruction and Development (EBRD), the International Finance Corporation (IFC),the Black Sea Trade and Development Bank (BSTDB) and the Netherlands Development Finance Company (FMO), and it welcomes the EDB among them. Eurasian Development Bank (EDB) is an international financial institution founded by Russia and Kazakhstan in January 2006 with the mission to facilitate the development of market economies, sustainable economic growth, and the expansion of mutual trade and other economic ties in its member states. EDB's charter capital totals US $7 billion. 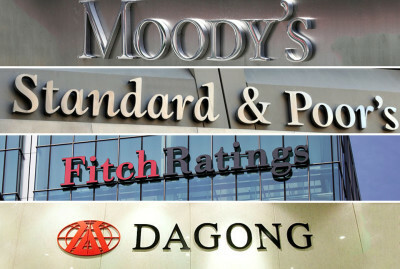 The member states of the Bank are the Republic of Armenia, the Republic of Belarus, the Republic of Kazakhstan, the Kyrgyz Republic, the Russian Federation, and the Republic of Tajikistan. JSC Nord Hydro – Belyi Porog is a subsidiary of Nord Hydro, the Russian Direct Investment Fund and Chinese partners. The company was set up in 2015 to construct the Beloporozhskaya HPPs. The project originator is Nord Hydro established in 2007 and functioning successfully as a management and engineering company engaged in infrastructure and socially important projects to construct and commission new, and reconstruct and upgrade the existing, small hydropower facilities in Russia. The company has the most significant experience in building "turnkey" small hydropower plants in Russia. 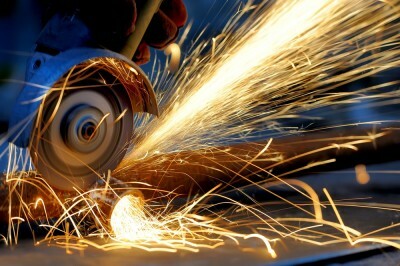 In the near future, it plans to begin exports of Russian technology and engineering services to international markets.